Alexander Rivera is a toy designer, moldmaker, caster, jewelry designer living in Alameda, CA. He has been a creative coordinator at Streamline Pictures, worked for Horizon Models, Testors, and has worked in the hobby business since he was 17. One of the first things I wanted to do was to remove the black center paint on the canopies. They were not on the car when filming, so I remove the chassis and carefully sliced off the pins that hold the canopies to the body. Then gently pop the canopy off the arch,being careful because it is glued. The glue leaves a residue on both the canopy and the bar. This must be sanded down,using 600 to 1500 grit sandpaper in increasing progression. Use dishwashing liquid as a lubricant with each grade of sandpaper. What you’re left with after sanding is a fine foggy area which will have to be polished out. A product called Flitz and a cotton cloth should do it. 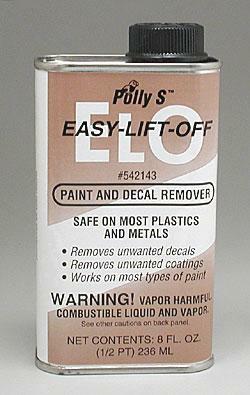 To remove the black paint, I used Easy Lift Off made by Polly-S.